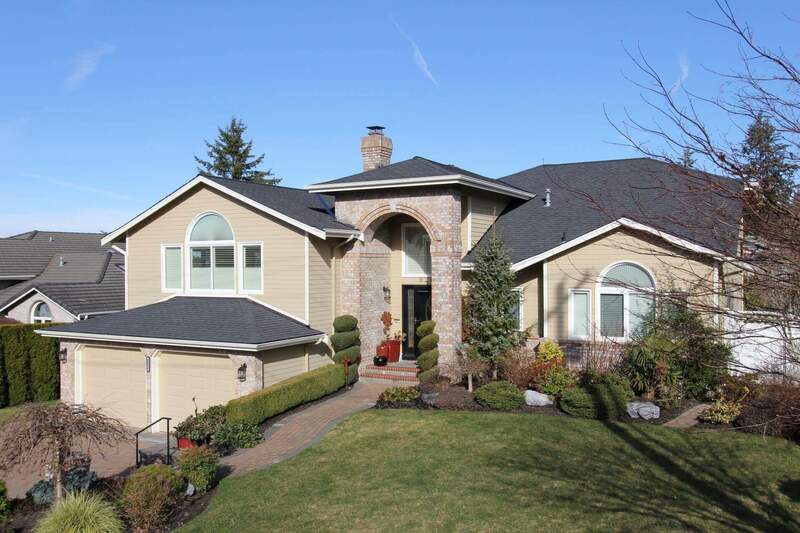 A composition shingle that is 39 inches long, and has the appearance of three separate shingles 13 inches wide. 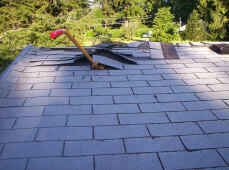 If a roof will be seen from the inside (no ceiling installed), tongue and groove is used. It is a wood decking that provides great insulation with the use of rigid roof insulation in moderate climates. Also, the boards can be painted or stained on the inside to match the interior. 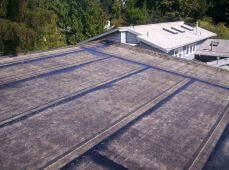 A newer roofing material which is single ply modified bitumen. 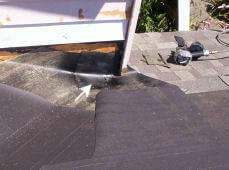 Single ply modified bitumen applied in the pocket of flat or low pitch areas of composite, shake tile, or metal roofs. A mechanical vent that spins and vents approximately 300 sq. ft. of attic space.